Another round of closures is scheduled to start Friday night as work continues on Project Neon, the $1 billion effort to widen Interstate 15 between Sahara Avenue and the Spaghetti Bowl interchange in downtown Las Vegas. 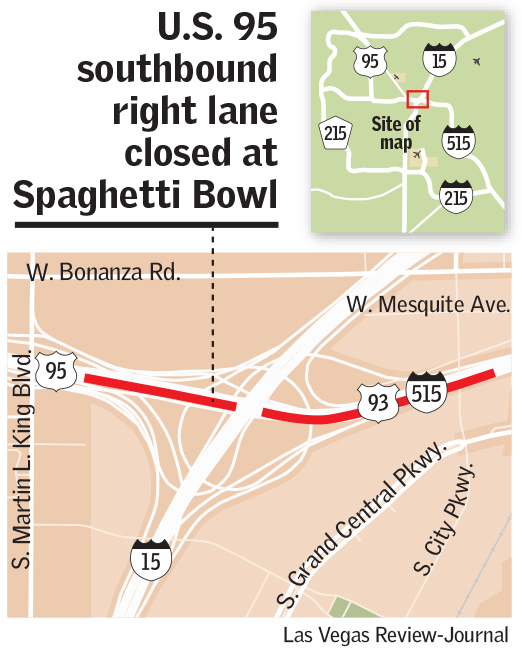 The right lane along southbound U.S. Highway 95 at the Spaghetti Bowl will close for “a few months” starting at 8 p.m. Friday, said Tony Illia, a spokesman for the Nevada Department of Transportation. 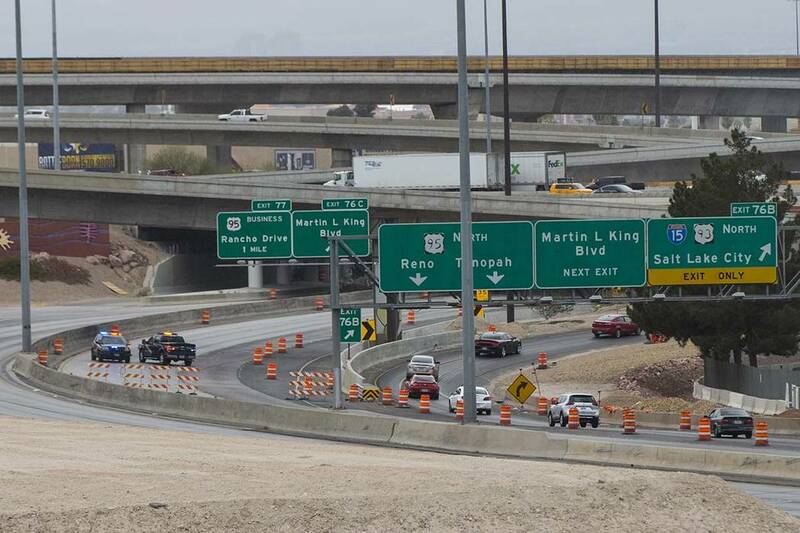 NDOT officials said the timing for the closure will depend on how quickly crews are able to build bridges that will eventually add capacity on I-15. NDOT is also scheduled to close Charleston Boulevard to through traffic beneath I-15 from 10 p.m. Friday to 5 a.m. Monday so that crews can demolish old freeway bridges, Illia said. Despite the street closure, all the freeway access ramps will remain open. Additionally, Symphony Park Avenue will close between Martin Luther King Boulevard and Grand Central Parkway from 10 p.m. Friday to 5 a.m. Tuesday.